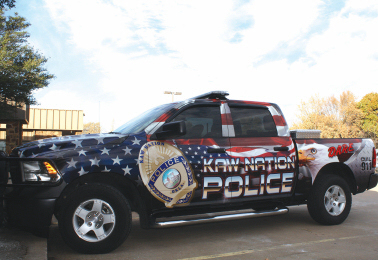 Welcome and thank you for visiting the Kaw Nation Police Department website. Our headquarters are located at 3251 East River Road in Newkirk, Oklahoma. The Kaw Nation has provided law enforcement services for its people for many years. Our vision is to provide the most professional services for our people. Glynn “Moose” Moore was born and raised in Ponca City. He graduated from Ponca City High School. Glynn attended Northern Oklahoma College and graduated from the University of Central Oklahoma with a Bachelor of Arts in broadcast journalism. Glynn worked for several major corporations and radio stations as a salesman until he found a home in law enforcement. Glynn worked for Ponca City Police Department in the patrol division for 25 years before retiring. While he was at Ponca PD, he was a member of the training staff and an original member of the Tac Team where he was operational for 13 years. While on the team he was a state certified tactical operator in Tac 1 and 2 as well as hostage rescue and high rist warrant service. He is state certified Defensive Tactics Instructor and a past National Trainer for the National Law Enforcement Training Center in Kansas City Missouri. He was Chief National Trainer for several seminar classes of proprietary courses of NLETC. Currently, Glynn is the night supervisor for the Kaw Nation Police Department and also serves as the training officer. Glynn holds the SLEC commission from the BIA. Glynn has recently completed training as a Critical Incident Team (CIT) member for the state. Glynn is a certified SCUBA diver and a sport parachutist. 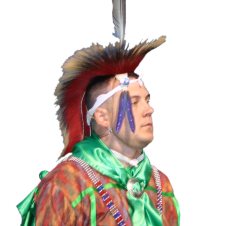 My name is Rob Seney, I am currently the Assistant Chief with the Kaw Nation Police Department. I began my career in law enforcement with the Blackwell Police Department in 1992. I have had many roles within the police departments to include IT Manager, evidence officer, accident investigator among a few. I have been employed, off and on, with the Kaw Nation since 2010 within various departments. My roll has defiantly increased with the appointment to Assistant Chief. One such newly appointed duty is to conduct all of the Adjudication Certifications for Chief Ray and the tribe. I have and will continue to work closely with Chief Ray to create a new updated department to handle all situations that may arise from the past, present, or future. My door is always open to the public. Christopher Haney is an enrolled member of the Seminole Nation of Oklahoma and has twenty years of law enforcement experience. He started his career in 1997 with the city of Wewoka Police Department. He has a long list of training most of which are in tactical operations. Some of his most notable training includes : Basic SWAT, Air Assault, Desert Snow, Advanced Highway Drug Interdiction, and the DEA basic narcotics investigator course. Chris enjoys working Indian country law enforcement the most, due to the many challenges and diverse history of Indian Country. Samantha Nicole Smith was born to James and Susy Smith on October 19th 1992 in Ponca City, Oklahoma. The eldest of four siblings, she was raised and still currently resides in Blackwell, Oklahoma. In 2011, she graduated from Blackwell High School and attended Northern Oklahoma College with a full scholarship in music/theater. The following two years, Samantha changed her major from Behavioral Science to Creative Arts. From 2013 to 2015, she worked for the Blackwell Police Department as an Animal Control Officer (ACO), alongside Senior ACO John Gerian. During these two years as an ACO she also worked for Shepherd Oil Company and Blackwell Animal Hospital. In May of 2017, Samantha was hired at Kaw Nation as a patrol officer. She attended the United States Indian Police Academy in Artesia, New Mexico July 2017, and graduated in October 2017. She also received her Oklahoma CLEET certification in January 2018. She enjoys working for the Kaw Nation under Chief Nick Krug and Assistant Chief Rob Seney and looks forward to serving Kaw Tribal Citizens in any way she can. I started my career in Law Enforcement in 2009 as a jailer for Osage Co. Sheriff’s Office, CLEET certified in 2013, left Osage Co. Sheriff’s Office in 2014 to work for Pawhuska Police Department as an Officer for the City of Pawhuska. Left Pawhuska at the end of 2015 to work for the Osage Nation Police Department as a tribal officer, left Osage Nation PD at the begin of 2018 to work for Kaw Nation Police Department. I am a certified S.W.A.T Officer and a certified Law Enforcement Sniper. I have been member of the Oklahoma National Guard 45th Infantry Brigade Combat Team and proudly served for 12 years, I have deployed to Iraq in 2008 and Afghanistan in 2011-12. I am happy to serve the people of The Kaw Nation and to further my Law Enforcement career with the Kaw Nation Police Department. I began my pursuit of a law enforcement career in the Collegiate Officer Program(C.O.P.) at the university of Oklahoma State University in OKC. As a C.O.P. student, I graduated with an Associate’s degree in Police Science as well as obtaining my Oklahoma Peace Officer Certification. 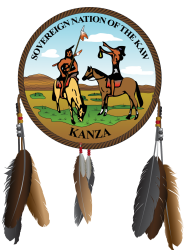 I began working for Kaw Nation Tribal Police in January of 2018. From November 2008 to November 2016 I was a cadet in the United States Air Force Auxiliary, and obtained specific training in search and rescue and ground team operations. I also have experience in private security, working from October 2015 to October 2017 as a private security guard. Scott grew up in Winfield KS and graduated from Winfield High School. Scott spent almost four years in the U.S. Army including two combat deployments to Iraq. After leaving the army Scott moved to Ponca City. Scott has since worked in casino security and management before starting his career in law enforcement at the Kay County Detention Center followed by the Newkirk Police Department. Scott has an associates degree in criminal justice and is currently working on his bachelor’s at NWOSU.